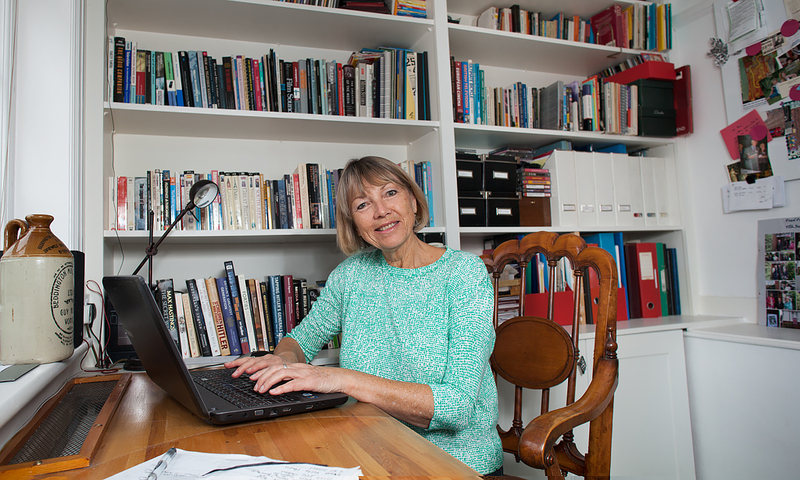 Sue is a freelance writer and the author of five works of British social history and a biography of a wartime secret agent. After a brief period teaching English and Drama in a north London comprehensive, much of her career was spent in commercial broadcasting, principally in policy and regulation. It was here that she started to learn how to write. Since 2002 she has combined freelance writing assignments – speeches, policy papers, editing bid documents, Press articles and ghosting a regular column for a national daily – with her own writing, often in collaboration with Steve Humphries of Testimony Films. She was a founder Associate of Pagefield communications consultancy and accepted some fascinating assignments through this award-winning young agency, including working with the Pageant Master on the Queen’s Diamond Jubilee Thames River Pageant in 2012. Sue was born in Peckham, south London, in the early 1950s to an unmarried GPO telephonist. She knows little about her birth father. The story of her adoption and subsequent search for her birth family is told in Love Child, her first book. After secondary modern and comprehensive schools and teacher-training at Trent Park College of Education, she emerged with a BEd in Drama and Philosophy of Education. Her first – and only – teaching job was at Bishop Douglass school in north London where she taught English and Drama. As a result of one of those serendipidous events that change careers, she moved from teaching to a lowly secretarial job in the Educational Programmes section of the commercial TV regulatory body, the Independent Broadcasting Authority and left, 20 years later, as Senior Programme Officer regulating the factual output of ITV and Channel 4. In the 1990s she was head-hunted to work with the MD of London Weekend Television, now (until it’s sold!) ITV’s headquarters on the South Bank. Here she realised for the first time that writing was a skill that not everyone has – and hers was in demand. After three years there as a policy advisor and then Head of Public Affairs, she went freelance and worked at ITV Network advising its Director of Programmes. A chance meeting with documentary film-maker and oral historian Steve Humphries in 2003 led to a life-changing collaboration over more than ten years. The result, so far, is five non-fiction books published since 2005, the latest of which appeared in June 2017.